This pretty little flower square is perfect to use as a motif for a blanket, curtain, table decoration or any other use you can think of! Quick & easy with dimensional texture to the flower! 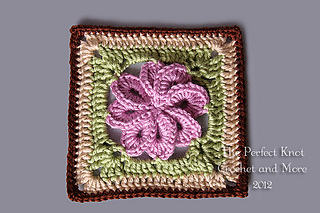 It’s a fun little square to add to your blanket or other project. You will love all the color possibilities you can do with it! 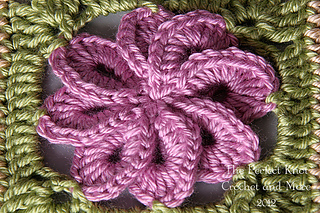 Thank you for stopping by The Perfect Knot Crochet and More!